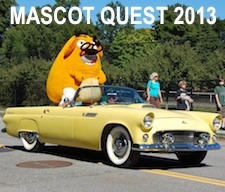 In Texas, the Hippo is king … of the mascots. Meet the Hutto (Tx.) High Hippos. 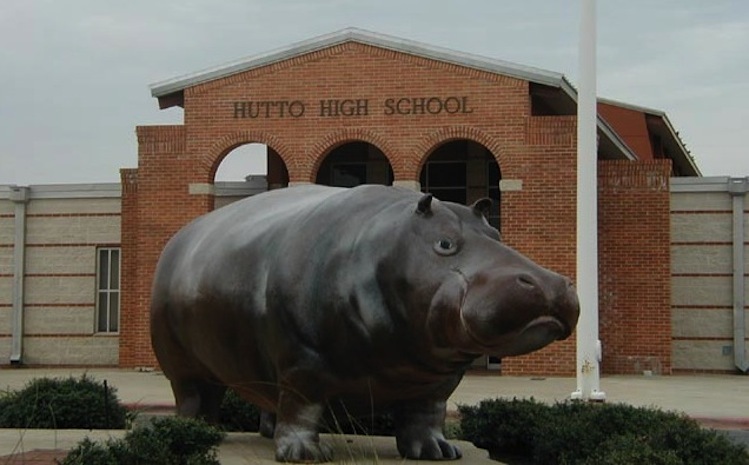 The Central Texas school is the nation's only institution of learning to use the Hippo as a mascot, and it is connected with Hutto in more ways than just its first letter. According to the Williamson County Historical Society, a hippopotamus escaped from a train car that was traveling through the area back in 1915, eventually meandering his way to the town's Cottonwood Creek. The escapee led to one of the great train announcements of all time: "Stop trains: Hippo loose in Hutto." The Hippos occasionally get loose today, though that's usually an indication of something on the basketball court or football field. And that's a much safer way of getting loose than having a wild African animal charging through the creeks of a small Texas town. Usually a Button wouldn't seem like an intimidating nickname, but when the button in question refers to a part of rattlesnake anatomy, that's a different matter entirely. As noted by MaxPreps, San Antonio (Texas) Central Catholic High plays as the Buttons in honor of the deadly snakes, whose rattles grow as "buttons" that grow each time a snake molts. The Buttons aren't the most well known San Antonio athletic program -- that probably belongs to the likes of the San Antonio (Tx.) Judson High Rockets, but the Buttons might be more fierce in a more noisy way than many might expect. Have you ever seen a javelina? If so, you'll know that it has nothing to do with female track and field athletes. Instead, javelinas are small wild boards that are indigenous to much of South Texas. The animals are also called peccaries, but it's the Javelina that has been used by Crystal City (Tx.) High as what may be the state's most fierce sports nickname. Given that Crystal City is the self-proclaimed Spinach Capital of the World, is it any surprise that the Javelinas wear green? Want more on the best stories in high school sports? Connect with Prep Rally on Facebook and follow us on Twitter.